Click here for the official rules or click here to enter. Artist retreats designed to make the everyday extraordinary. 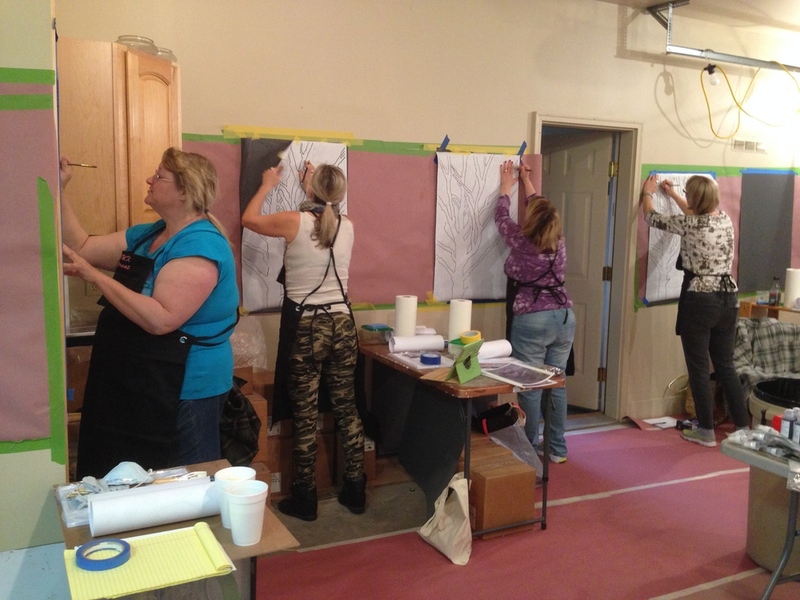 With Faux Retreats scheduled for Wisconsin, North Carolina, Santa Fe and beyond, we provide the most unique, and feature packed experience for Faux Finishers, and other professionals in the decorative painting and mural community. 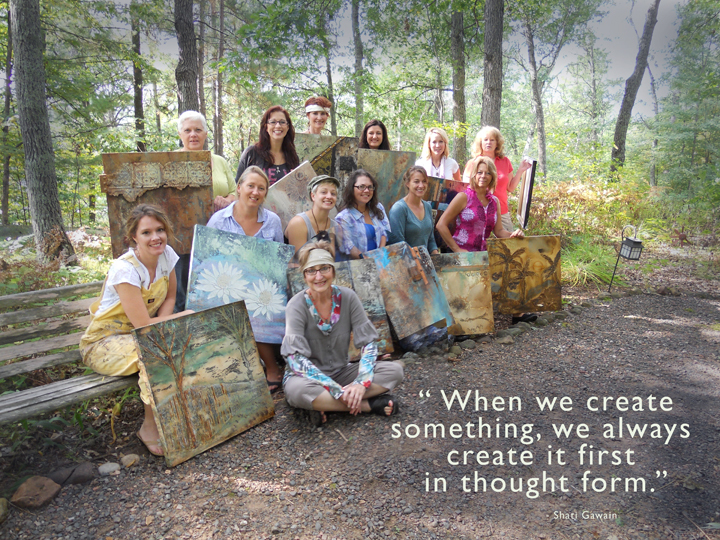 Since 2009, our painting retreats have inspired and brought artists together to form strong networks and lasting friendships. Every retreat offers a variety of classes, instructors and products and the price always includes classes, food and lodging. We love to pamper you while creating a fresh, unique and memorable experience. We started it first! We are already getting ready for 2016! We are heading to Italy, Texas, Wisconsin, Missouri and the east coast! 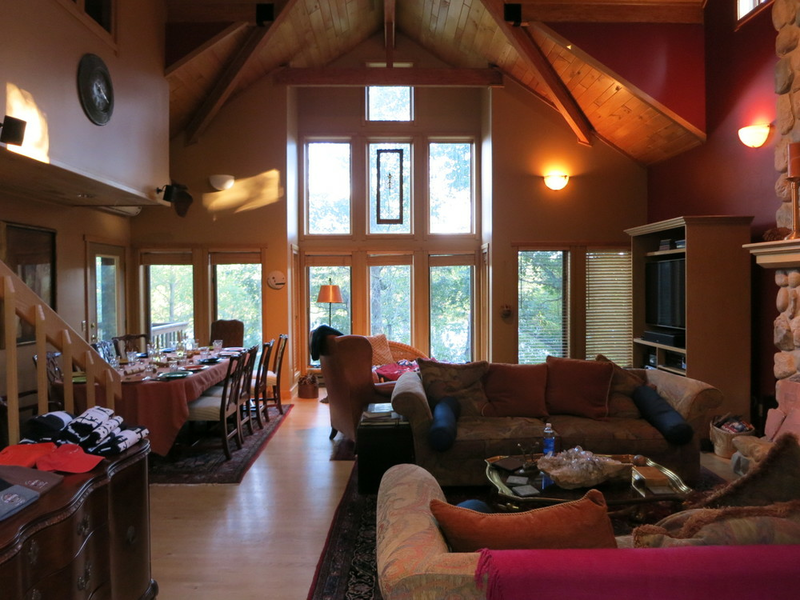 Drop us a line if you are interested in hosting a retreat in your area. Contemporary cabinet finishes that sell, the proper way to use spray guns, contracts and marketing for your cabinet business. + Epoxy and plexiglass art creations, and modern metallic wall decorative finishes. This retreat is sold out, but we will gladly add you to the waiting list if a spot becomes vacant. 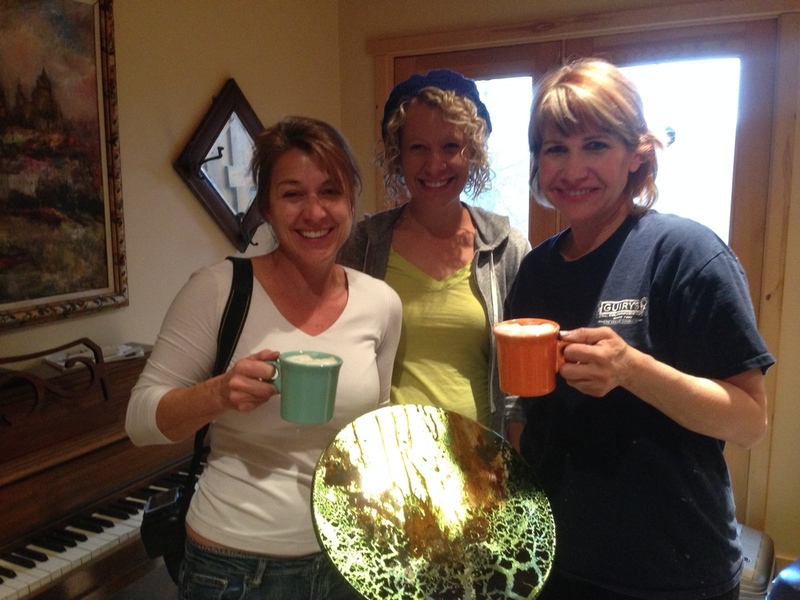 Verre églomisé, gilding and decorative faux finishes are just some of what will be taught by Annie. Adrienne will be teaching some contemporary concrete and Italian plaster finishes using lime plaster by Firmolux, Proceed and SkimStone. We are blinging it up in North Carolina for this special first time retreat located at a beautiful 3 story lodge style home on Lake Norman. But don't worry, we will still have most of the favorite amenities and traditions Faux Retreat is known for. Including the amazing classes! Expanding off of our 2 years of Caring With Colors Events, this year's event is in New Mexico and giving to several charitable organizations. 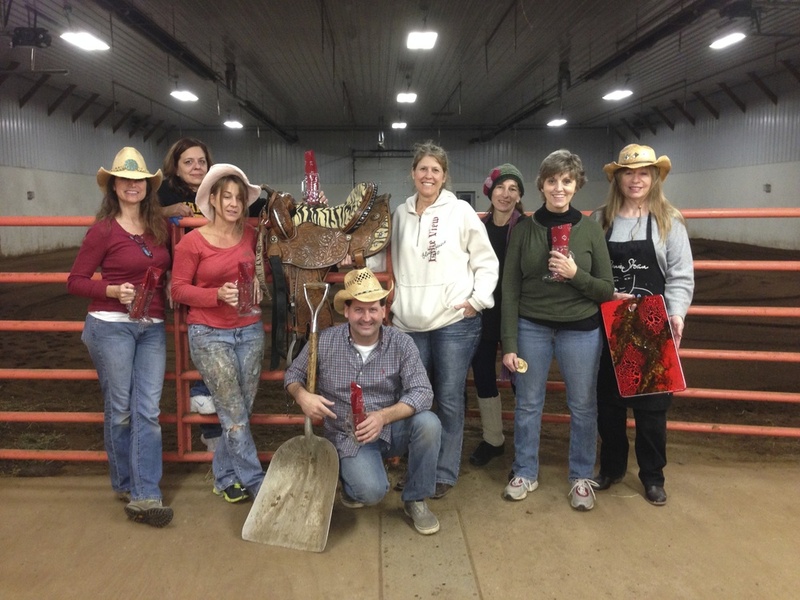 Lots of classes, inspiration and camaraderie at this affordable "faux" industry event. Open to professional Decorative Artists. If you are interested in teaching at this event or having a display booth, use the form under Contact.